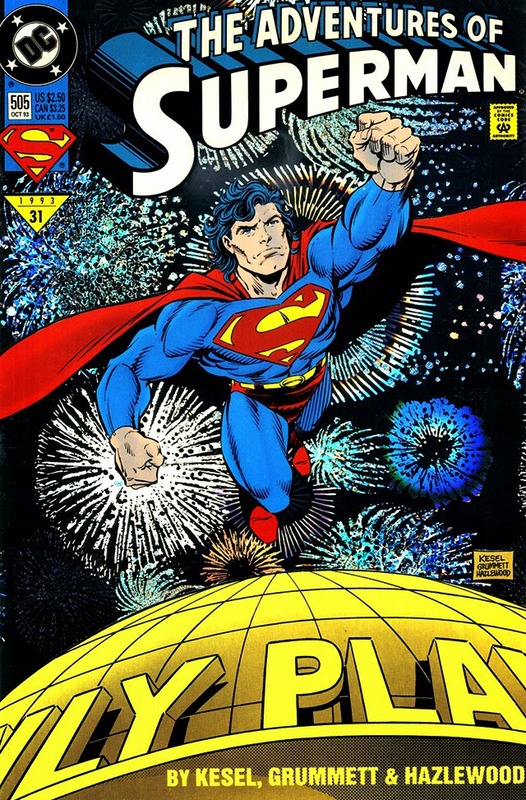 Well it's been 2015 in New Zealand for a whole eight hours now, so it is time to wish you all a happy new year! Image Expo 2015 - On January 8th, Image Comics throw open the doors on their 2015 plans! What new Saga's are set to launch, or creators set to join the creator owned movement? Here is where we'll find out! Avengers: Age of Ultron - Another plus to being a kiwi, we see this flick a week ahead of the U.S. In April, look for a spoiler free review as my favourite comic couple, Vision and The Scarlet Witch, finally join the Marvel cinematic universe! If any event has ever been threatened to be eclipsed in cool by it's tie-ins, it is DC's Convergence. Here, tie-ins include Kelley Jones on Swamp Thing, The Question partnered with Two-Face, Steel, the JSA, and both Fabian Nicieza and Marv Wolfman on Titans! Add to these Marvel's Secret Wars, Valiant's Ninjak, Imperium, and Bloodshot Reborn launches, IDW's Star Trek / Planet of the Apes crossover, the controversial Fantastic Four movie reboot, as well as Ant-Man's solo film, and you can see 2015 is sure to be another year spent in overdrive for all comic fans! All the very best and long may your blog continue into 2015, and gosh you get to see Age of Ultron before us gggrrrr I am jealous! a Fantastic Four reboot? first time i'm hearing about that but God knows that is one botched marvel movie franchise that is in desperate need of a reboot. same goes for Ghost Rider but i don't see that happening any time soon if ever. speaking for myself i'm not at all interested in any of DC or marvel's 2015 comic book projects. i think what also deserved a mention here as far as promising things in 2015 is Justice League: Throne of Atlantis. DC has a had a good track record for well done animated feature movies despite my lack of interest in anything they publish. the last DC animated feature film i got to see was Batman: Year One it was excellent i highly recommend it. Thanks Karl - to you too mate! Hope you are looking forward to what the year will bring! Yup Dave, it's going to be by the director of the Chronicle movie you like. One of the Chronicle actors even, Michael B. Jordan, is going to be playing the Human Torch, so keep an eye out. did you ever get around to seeing Chronicle? HAPPY 2015 DAN!! PAR-TAY-HAR-TAY WHOOO!! There is one good Marvel video game... Lego Avengers. I know, it's a kid's game. But dagnabbit, it's fun. And cute. And has ACHIEVEMENTS!!!! I liked the FF movies. Doesn't mean I won't like the new ones better, but I enjoyed what they were, except for the Galactus cop out. Cheers Pensol - hope you had a great night buddy! Random, I haven't played the Lego games, but I didn't mean to sound like Marvel has no good games. Marvel: Ultimate Alliance and X-Men: Legends are the top two that spring to mind. Oh and that Spider-Man game for the original Playstation, that sucker was amazing. Just compared to the Batman Arkham games they are in a different league. Still yet to get a decent Superman game though. I liked the FF movies for what they were too. I actually think in hindsight people are going to realise most of the actors were pretty well cast in those roles too. Dave - yip mate sure did. I liked it, but I can't help but feel it needed to be seen on the big screen for full effect. I never saw Chronicle on the big screen, but I wish I had. Still, it ranks in my top ten of super hero movies, and sometimes floats into my top five. Beautifully rendered, brilliant script, superbly edited, and the acting was spot on. Just proves you don't need the names to satisfy the dweebery that is comics. You do need to know your basic comic lore, however.